Having rest in Nusa Penida it's a wonderful pastime full of harmony and new impressions. Are you ready to stop the moment and plunge into your thoughts in front of the ocean sitting on the edge of the cliff, spend your time in a heavenly beautiful peaceful beach and visit a solemn temple? 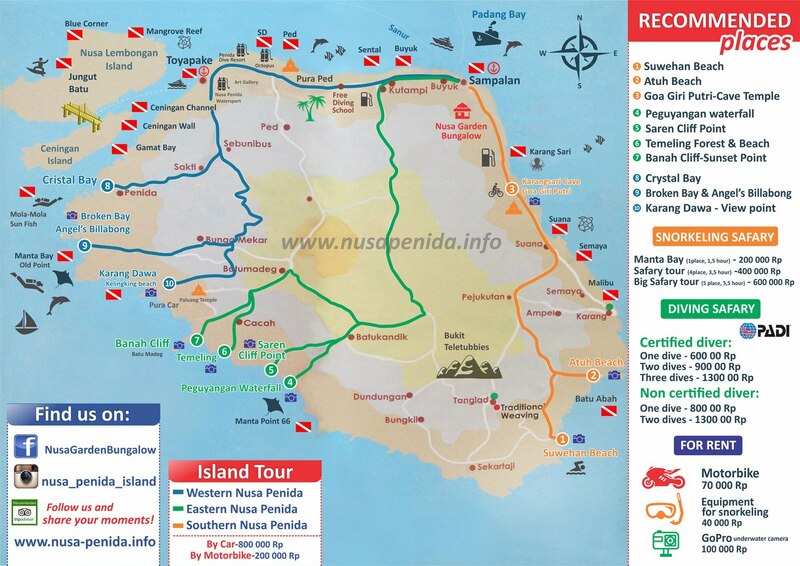 It’s time to travel along the Eastern coast of Nusa Penida. We are starting our trip by visiting Atuh Beach, wild beach located in a calm bay famous for its white gold sands and surrounded by hills and inviolable cliff wall. 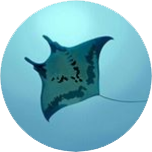 You will enjoy all the beauty of the underwater world as well as scenic views hills and cliffs will offer you. Viewpoint is located on the east patr of Nusa Penida Island. This is viewpoint have panoramic views of the ocean and the various islands. Diamond Beach this is the most amazing beach as untouched paradise, it has only just recently been made accessible for people and it becomes another Nusa Penida ‘hot spot’. The Beach has glistening white sand, coconut palm trees, small caves and a more suitable spot for swimming. Is the next beach over from another known as Atuh Beach. Our adventure will end by visiting Goa Giri Putri temple. In Bali, a lot of caves are temples and places of worship. There is a cave like that in Nusa Penida – Pura Goa Giri Putri. In English “Giri” is “mountain, hill” and “Putri” is “daughter”. “Daughter” is a symbol of God power, maternity, and feminine energy. Goa Giri Putri is a home for Divine forces. Hindu went to this place to pray, practice yoga and meditate. The temple can house 5,000 people at once, just imagine its size! The ceiling at the entrance of the cave is quite small but don’t worry about that just go ahead and you will be able to draw yourself up. During this little adventure, you will clear your mind and learn about the culture of Nusa Penida.